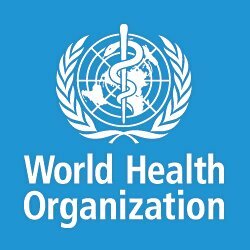 In response to increasing violence in the city of Sabha, southern Libya, the World Health Organization (WHO) has announced the delivery of trauma medicines sufficient for more than 400 patients requiring trauma care. The drug were delivered to Sabha Medical Centre, Murzuq General hospital and Ghodwa field hospital. WHO has also delivered six incubators and two ventilators to the neonatal intensive care unit of Sabha Medical Centre, and pre-positioned additional trauma medicines at the Medical Supply Office in the city to be delivered to health facilities as needed. Clashes between armed groups in Sabha and Murzuq in February resulted in increasing numbers of injured patients, overwhelming health facilities already facing shortages of specialists and medical supplies. The total number of casualties is 250, which includes 44 dead and 206 wounded. In late February, WHO joined the first United Nations Interagency Mission to Sabha in many years. During the three-day mission, WHO launched a subnational health sector working group in Sabha to coordinate health activities, with membership of six partners, one observer and three government institutions in southern Libya. WHO, together with the National Centre for Disease Control, management from Sabha Medical Centre, and the Medical Supply Office, agreed to scale up support for the national tuberculosis programme and national AIDS programme. “As a result of WHO’s constructive discussions with local authorities in southern Libya, and in line with WHO’s strategic goal to expand and strengthen the field emergency coordination, WHO will establish a satellite logistics hub in Sabha to preposition all medical supplies for the south, in addition to part of our contingency stocks for the country as a whole. WHO will also supporting the national tuberculosis and AIDS programmes with essential medicines, diagnostic supplies and capacity-building for health staff throughout 2019. WHO and National Centre for Disease Control have also agreed to improve access of migrants to public health services,” said Dr Syed Jaffar Hussein, WHO Representative in Libya. In November 2018, WHO supported the National Centre to train and deploy three rapid response teams to respond to all infectious disease outbreaks. WHO also deployed a psychiatrist to provide regular consultations and treatment to mental health patients in Sabha, Ubari and Ash Shatti. WHO is also in the process of deploying four emergency medical teams to Sabha, Murzuq, Ghat and Ubari to provide specialized health care services and upgrade the capacities of the four main hospitals in these areas. To ensure basic health services are available to all people in need in the areas WHO is implementing a Minimum Health Service Package in Ash Shatti and Ubari that support two main hospitals and five primary health care centres with essential medicines, medical supplies, laboratory supplies and training of health workers.